Professor of Control Theory and Design, Nicholas Karcanias, will lead an EU-funded project titled “Innovative Technology for District Heating and Cooling” (InDeal). City’s Systems & Control Centre within the Department of Electrical and Electronic Engineering, has been awarded a €280k Horizon H2020 research grant in the field of technology for district heating and cooling. Led by principal investigator, Professor of Control Theory and Design, Nicholas Karcanias and his co-investigators, Professor George Halikias and Dr Eduardo Alonso, the project is titled, “Innovative Technology for District Heating and Cooling” (InDeal), and will last for 27 months. This will enable the further increase of DHCS technology and its market penetration, currently only at ten percent. The InDeal consortium will develop a Decision Support System (DSS) to manage the DHCS. Supporting tools will communicate with the DSS and provide significant information, such as near real-time weather forecasts, near real-time energy demand, stored energy monitoring and control and near real-time energy consumption. 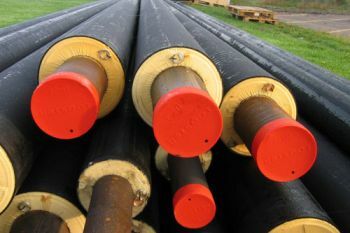 The InDeal process involves the optimal design of infrastructure (piping system, insulating materials, intelligent piping system) and the redesign of existing DHCSs in order to transform them in an automated DHCS which will be able to manage the heating and cooling distribution efficiently. City’s main technical role in InDeal is the development of a unified distributed, multilayer (hierarchical) modelling framework and control algorithms for optimal design and operation of the heat distribution system. An algorithm is a procedure or formula for solving a problem. The word derives from the name of the mathematician, Mohammed ibn-Musa al-Khwarizmi, who was part of the royal court in Baghdad and who lived from about 780 to 850. Al-Khwarizmi's work is the likely source for the word algebra as well. A computer program can be viewed as an elaborate algorithm. In mathematics and computer science, an algorithm usually means a small procedure that solves a recurrent problem.